Ex-Army Chief Ihejirika joins Python Dance II exercise – Royal Times of Nigeria. The Nigerian Army has launched a free medical outreach in Ovim, Isuikwuato Local Government Area of Abia, as an integral part of the ongoing Python Dance II exercise in the South-East of the country. 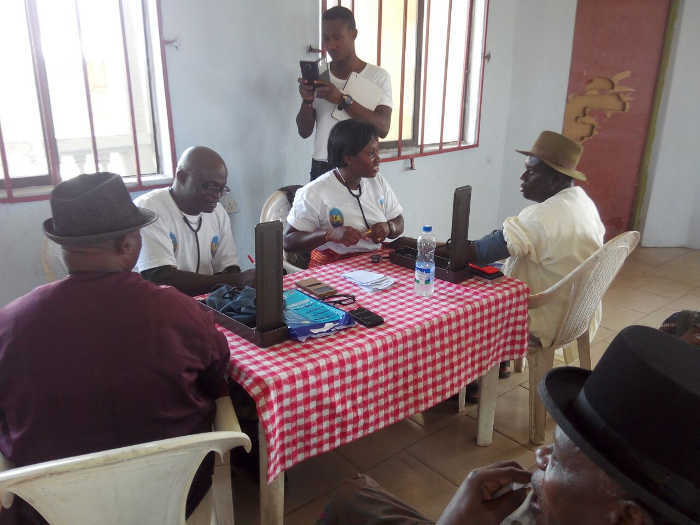 A statement signed by the Deputy Director of Public Relations, 82 Division, Col. Sagir Musa, and made available to newsmen in Enugu, described the programme as a success. Musa said that the programme followed a directive by the Chief of Army Staff, Maj.-Gen. Tukur Buratai. He said that the former Chief of Army Staff, Lt.-Gen. Azubuike Ihejirika and other dignitaries were present at the event. “One interesting aspect of the exercise is the generous donations of rice, dental and optometry services, malaria and de-worming tablets, eye glasses, treated mosquito nets to the locals, among others. “In addition to the de-worming tablets, school children were given packets of biscuits, chewing gum and chocolates,” Musa said. Meanwhile, Musa said that various formations and corps commanders of the Nigerian Army training institutions had been visiting areas covered by the Python Dance II. He said that the visits, as directed by Buratai, were designed for interaction with the troops and assess the success of the ongoing exercise. He said that the commanders were conducted round some field locations and check-points along Enugu-Nsukka and Enugu-Abakaliki axis. “The Commander of Nigerian Army College of Logistics, Maj.-Gen. RC Duru, visited Sector 2 Operational Headquarters, where he was briefed on the exercise. “The commander was later conducted round the hitherto volatile areas of Ohaji Egbema in Imo State. “So far, the entire South-East has been peaceful and people are seamlessly carrying out their normal businesses,” Musa said.